Every day breaks the same way for Alice and Ken Heckman: They each crack open a rattling plastic tray holding scores of pills in a rainbow of pastel colors. Between the two of them, they will gulp 29 pills - today, and tomorrow, and the next day. The couple downs a combined daily regimen of 14 drugs and a chaser of vitamins and other supplements also approved by their doctors. Here's the curious part: They feel pretty hale for people in their early 70s. He works in the yard, juggles spots on several community boards, and volunteers for the Rotary Club. She volunteers for Rotary, church and hospice. They go to the gym sometimes - when they're not too busy. clearing stent - but they fully recovered. She has well-controlled diabetes. He has worked his way through heartburn, arthritis, an enlarged prostate and occasional mild depression. About 130 million Americans - many far healthier than the Heckmans - swallow, inject, inhale, infuse, spray, and pat on prescribed medication every month, the U.S. Centers for Disease Control indicates. In fact, Americans buy much more medicine per person than residents of any other country in the world. The national appetite for drugs has sharpened over the past decade, driving up the number of prescriptions by two-thirds to 3.5 billion yearly, according to IMS Health, a pharmaceutical consulting company. Americans devour even more nonprescription drugs, polling suggests. In past months, safety questions have beset some depression and anti-inflammatory drugs, pushing pain relievers Vioxx and - most recently - Bextra from the market. Rising ranks of doctors, researchers and public health experts are saying that America is overmedicating itself. It is buying and taking far too much medicine, too readily and carelessly, for its own health and wealth, they say. For a sizable minority of Americans, the consequences are dire. Well over 125,000 people die from drug reactions and mistakes each year, landmark medical studies of the 1990s suggest. That could make pharmaceuticals the fourth-leading national cause of death after heart disease, cancer and stroke. Americans spent as much on drugs last year as they did for gasoline. The $250 billion in sales estimated by industry consultants means an $850 pharmaceutical fill-up for every American. The vast majority was for prescription drugs. Lipitor, Nexium, Zoloft, Celebrex probably should sound like names of alien invaders. Yet they have somehow acquired a familiar, even friendly ring. Don't we need our drugs, though? Don't they yank people back from almost certain death? A relative handful of drugs surely do, like some antibiotics and AIDS medicines. However, too many Americans have demanded antibiotics for viral diseases they can't possibly cure - often for minor infections - and that's allowed bacterial strains to adapt. Other drugs, like cholesterol-cutting statins, prevent calamities often years in the making like heart attack and stroke, but only in a minority of people who take them. Most are exposed to possible side effects like liver and muscle damage without gaining any benefit. The right balance of risk and benefit is still harder to strike for a raft of heavily promoted drugs that treat common, persistent, daily life conditions: like anti-inflammatories, antacids, and pills for allergy, depression, shyness, menstrual crankiness, waning sexual powers, impulsiveness in children - you name it. "We are taking way too many drugs for dubious or exaggerated ailments," says Dr. Marcia Angell, former editor of the New England Journal of Medicine and author of "The Truth About the Drug Companies." "What the drug companies are doing now is promoting drugs for long-term use to essentially healthy people. Why? Because it's the biggest market." In fact, relatively few pharmaceutical newcomers greatly improve the health of patients over older drugs or advance the march of medicine. Last year, the U.S. Food and Drug Administration classified about three-quarters of newly approved drugs as similar to existing ones in chemical makeup or therapeutic value. Confronted with mounting costs, drug makers churn out uninspired sequels like Hollywood: drugs with similar ingredients, but taken in a different way or for a different disease. Then they are advertised as vast improvements, with images of invigorating romps through the heather - and oh-by-the-way safety warnings. Millions with arthritis have opted for pricey, TV-star painkillers that unnecessarily expose them to higher heart risks, without relieving pain any better than older, cheaper brands, research shows. Of course, pharmaceuticals bestow important benefits that do improve American health. "We now have more medicines and better medicines for more diseases," says Jeff Trewhitt, a spokesman for the Pharmaceutical Research and Manufacturers of America. The Heckmans may owe some of their active life to better medicines. "Meds have enabled us to do these things," says Mrs. Heckman, a former hospital nurse. Many drugs, though, hold modest value for most people who take them, research shows. Far too often, the critics say, the nation overindulges and violates the classic proscription of the ancient Greek physician Hippocrates: "First, do no harm." "All drugs are poisonous. If you don't remember anything else from this class, remember that!" The Heckmans found out on their own. Heckman once started acting like a zombie from a depression medication. "I was living in a fog," he says. His wife has come down with a rash from one heart medicine and muscle aches from a statin. But each time they switched medicines and escaped any lingering harm. Many side effects, though, look so much like symptoms of common diseases that even doctors can't tell the difference. Researchers have agonized in recent months over how many heart attacks to blame on certain painkillers and how many, on heart disease. Studies suggest that bad side effects and interactions between drugs are disturbingly commonplace. Hospital patients suffer seven hard-to-foresee adverse drug reactions and another three outright drug mistakes for every 100 admissions, estimates Dr. David Bates, a researcher at Boston's Brigham and Women's Hospital. With about 36 million admissions per year, that translates into 3.6 million drug misadventures. Over the past decade, adverse events reported to the FDA's largely voluntary collection system rose more than 2 1/2 times to 422,888 last year. The dangers potentially escalate when doctors prescribe drugs, as they often do, for uses not formally approved by the FDA. That's what happened with women's hormones, which doctors prescribed for more than menopausal symptoms - until the discovery that prolonged use raised the risk for heart disease, stroke and breast cancer. In a recent report, the Centers for Disease Control voiced concern about the huge off-label growth of antidepressants. They are being used to treat often loosely defined syndromes of compulsion, panic, anxiety and premenstrual discomfort. Drug makers, doctors and patients have all been quick to medicate some conditions once accepted simply as part of the human condition. Americans instinctively trust science and medical technology, say public health experts, and they expect drugs to smooth over even the routine bumps of life. The United States buys 18 percent more pharmaceuticals annually per person - even adjusting for higher prices - than second-ranking nation, France, according to the Organization for Economic Co-operation and Development. Strangely, the United States lags well behind other industrial nations in important measures of health, like life span and rates of heart disease and cancer. Americans keep putting faith in the drug pipeline, often assuming that new drugs inevitably work better than old ones. "I think we would have a smarter and safer public if people were more skeptical about innovation: Newer isn't always better, and more isn't always better," says Dr. Donald Berwick, an adviser to the U.S. Agency for Healthcare Research and Quality. 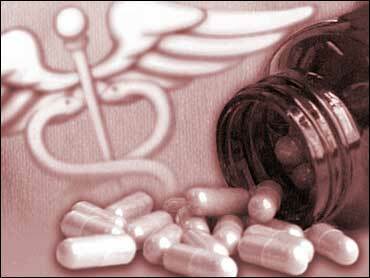 With so many medications at hand, mounting numbers of patients stray into abuse. About 4 percent of the nation's adults and teenagers misuse prescription drugs annually, suggests a 2001 report by the National Institute on Drug Abuse. Paradoxically, right beside lavish overmedication, many miss out on medicine they desperately need, as though peeking through the windows at a high-society frolic. The ranks of the uninsured have swelled, and near-death patients sometimes go without the strongest pain medicines over misguided addiction worries. "We deploy these medications in a willy-nilly manner, so that the people who need them don't get them, and people that get them don't need them," says Dr. Jerry Avorn, a Harvard Medical School professor who wrote "Powerful Medicines." If you're looking for the Heckmans, try the drive-through chain pharmacy off Route 44 on a busy retail strip outside Plymouth's historic town center. They buy almost all their drugs there - nearly $9,000 worth of prescriptions a year, plus hundreds of dollars in cheaper over-the-counter medicine both for their chronic conditions and passing ailments. Even with supplemental insurance, their monthly out-of-pocket share of prescriptions alone roughly equals their food bills. They read pharmacy circulars and stock up during nonprescription sales. Mrs. Heckman asks her doctor for free samples. "I'm grateful we can do it, but it grates every time we pay the darn bill," says her husband. Around the country, prescription drug sales have pushed relentlessly upward by an annual average of 11 percent over the past five years. Some health economists predict a similar trend in coming years. A Medicare drug benefit looms in 2006, promising to stoke drug use even more. The demographics of heavier medication may be inescapable. The population is growing and living longer, shuttling attendant ailments of aging like cancer, heart attacks, stroke and Alzheimer's disease. Other conditions have mysteriously proliferated, including asthma, diabetes and obesity. Exercise and better diet ward off heart disease and diabetes just as effectively as drugs do, studies show. But many patients resist changing habits, and many doctors barely encourage it. "There tends to be a reliance on drugs as the first option," says Fred Eckel, who teaches pharmacy practice at the University of North Carolina and edits Pharmacy Times. The drug industry, understandably, works hard to fan sales. It dispatches sales representatives to medical offices, underwrites continuing education for doctors, and sponsors drug research to help win government approval. Drug advertising to consumers has boomed since the late 1990s, thanks largely to relaxed government restrictions. Spending for consumer ads has exploded from about $55 million in 1991 to about $4 billion last year, government and industry figures show. The FDA generally demands only that new drugs work - not that they work better than existing ones. Over recent years, the FDA has accelerated standard drug-approval times. Dr. Janet Woodcock, an FDA deputy commissioner, says the agency now favors fewer, but stronger warnings. She says off-label prescribing and allowing similar drugs for the same condition present more options - and "choice is important." "We feel that obviously medicines provide a tremendous benefit that outweighs the risk, but there's a lot we can do as a society to diminish the risk of adverse reactions that occur every day," she says. Many independent safety experts complain of poor drug decisions and too little genuine choice. They say more new drugs could be tested against marketed ones, with more safety data required, and stronger control afterward of consumer ads and off-label promotion. More computerized drug handling could catch more side effects and mistakes. Ordinary Americans who take the drugs could jettison blind faith, quiz their doctors and exercise reasonable caution. For now, though, most seem to feel like Heckman: "grateful that there's a pill to take for something."